Our quality and professionalism is widely recognised onshore and internationally. Successful projects in diverse fields demonstrate our versatility, capacity and expertise. This multi-disciplinary study is for the standards and the guidance division of the National Education Department of Papua New Guinea, evaluating the Impact of SLIP program through school visits across nine provinces in the four regions of Papua New Guinea. The study includes policy review, quantitative and qualitative stakeholder consultation in the field; school board members, headmasters, parents, teachers and the students. Is a comprehensive evaluation commissioned to informed and improved the policy process to strengthen the SLIP in future. This baseline study in collaboration with Coffey International PNG, evaluates the RPNGC prior to the new program deploying the Australian Federal Police into the PNG Law & Justice Sector. APR is evaluating public perceptions of Police and their interactions with the communities they serve, using both qualitative and quantitative methodologies. The findings will inform the direction of the program and provide baseline benchmarks for subsequent surveys monitoring and evaluating the program's progress over its lifetime. This multi-disciplinary study was undertaken in collaboration with GHD of Canberra and funded by AusAID. 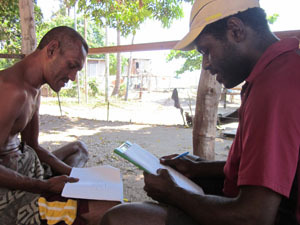 The study evaluated the impact of Australia's extensive investment in the PNG Law and Justice Sector. GHD was responsible for evaluating infrastructure (e.g. procurement, contractors, workmanship, fit for purpose, etc.) while APR evaluated the social impact on stakeholders, e.g. Judges, Magistrates, Lawyers, Police, CIS and the communities the infrastructure was built to serve. This study involved data collection and analysis of more than 300 interviews over 7 provinces; the findings are now being used to further strengthen PALJP and guide its direction. 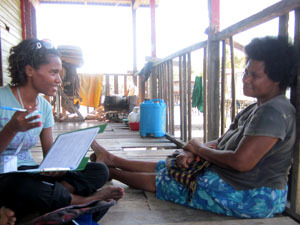 APR was sole contractor to the Bank of PNG and ADB in conducting this extensive quantitative study into the financial inclusion, financial literacy and economic livelihoods of low income Papua New Guineans. 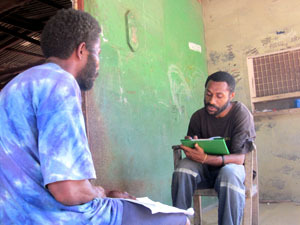 The survey comprised 1200 interviews in urban and peri-urban zones of 8 provinces across the four major PNG regions. The findings will inform the direction of the Microfinance Expansion Project and provide a baseline for monitoring and evaluating the program's progress over its lifetime. APR was sole contractor for this study, commissioned by IoM (International Organisation for Migration) and funded by the EU in Brussels. 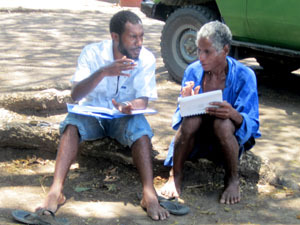 It involved extensive desk research and records analysis backed by numerous key stakeholder interviews in PNG, Fiji and Solomon Islands. 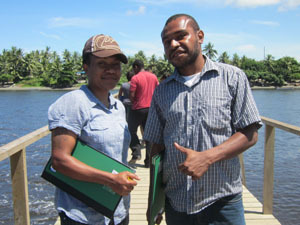 The findings will be used in formulating recommendations on strengthening democratic governance in PNG and its Melanesian neighbours in the areas of labour market policy, urban-rural migration, micro-enterprise expansion in rural areas and partnerships between the private sector and skills training providers. 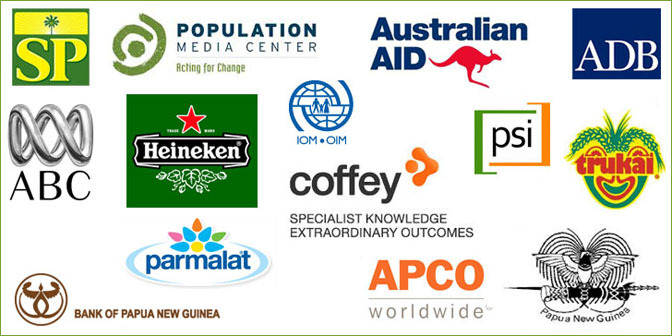 Population Media Centre, South Pacific Beer, Heineken, Parmalat-Pauls Milk, BNG, Trukai Industries Limited, South Pacific Brewery, APCO Insight Energy, Bank Frontier.